Not only do we specialise in onsite paint spraying and industrial pant repair. We also boast a state of the art spray booth and oven at our head quarters based in County Durham. This gives us the opportunity to refinish transportable items and components in a dust free controlled environment. 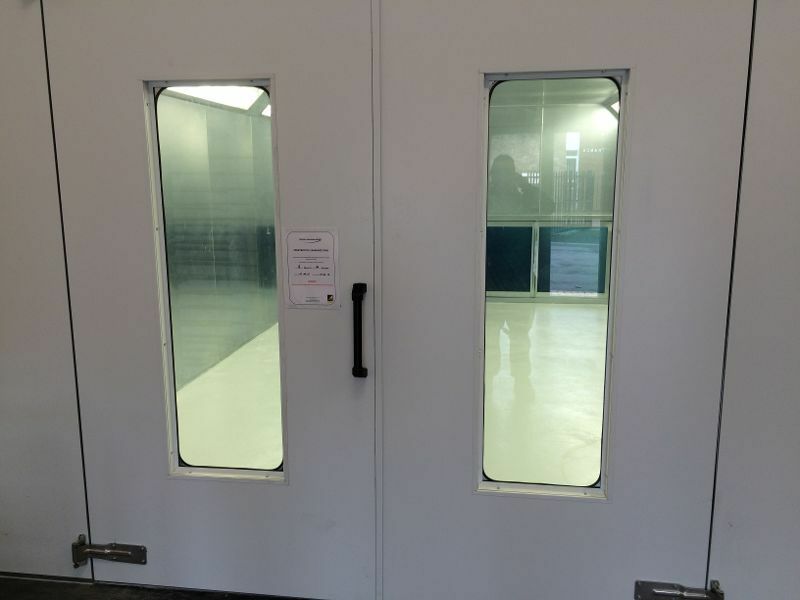 This allows our technicians to paint in a pressure controlled closed environment, meaning that have absolute control over temperature, air flow and humidity. Ventilation, Filtration and extraction ensures the dust, that could potentially ruin an otherwise flawless finish, are removed from the spray booth whilst overspray and atomised solvents are contained. This limits any impact on the environment. 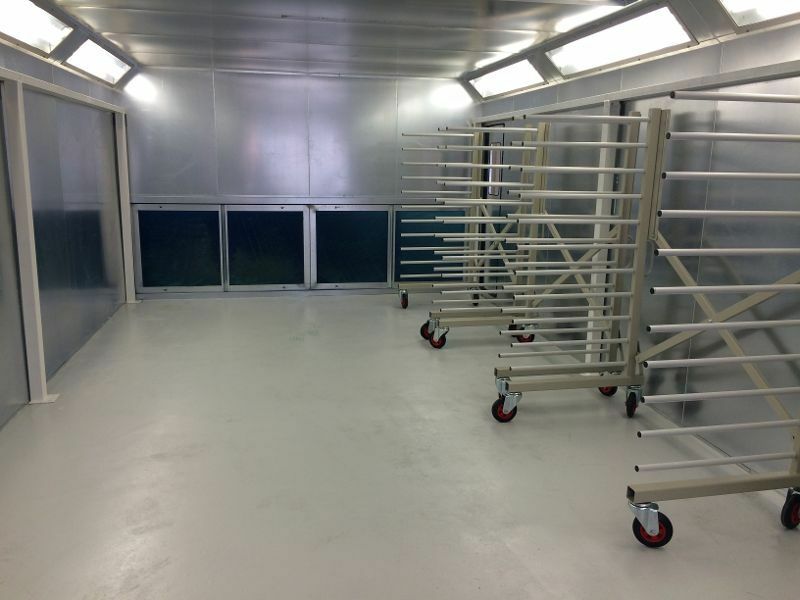 Our spray booth also benefits from the baking facility which means we can cure paint in a very short space of time. This assures customers for an extremely efficient turn around. Offsite spraying in our spray booth is ideal for many applications. As long as the item will fit through those doors, the possibilities are endless. Form a car to a kitchen and all those far and few between. As long at the item can be assembled on site, it can be sprayed offsite. We also offer a wide range of decorative finishings as well as traditional gloss and matte solid colours, as well as a clear overbase. We offer specialist metal effect paints and even veneer effect paints. This makes our offsite spraying services extremely versatile.